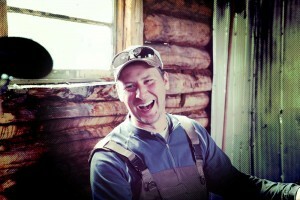 The Delay River is one of the most productive salmon rivers in Quebec. You can expect an average catch of 2 salmon per day, weighing between 5 and 12 pounds. However, 18-pound-plus catches are not uncommon. 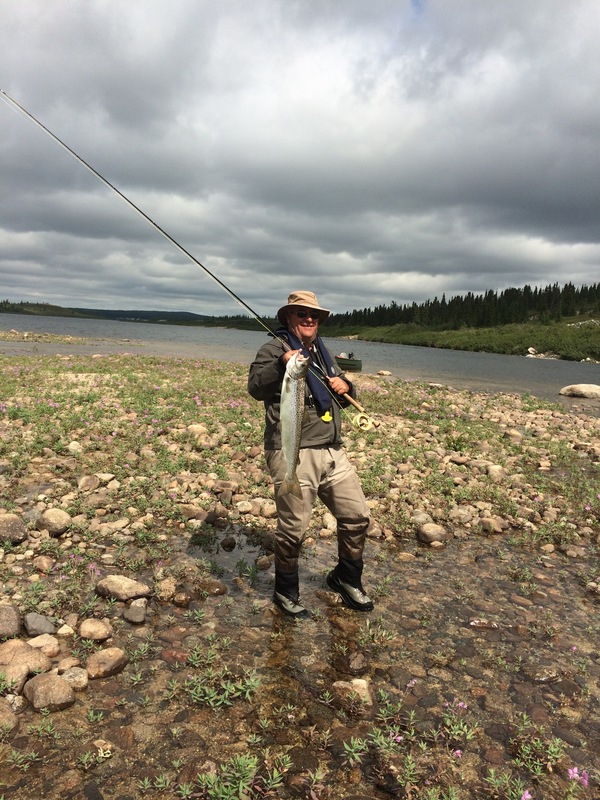 You may also catch speckled trout, pike and lake trout. 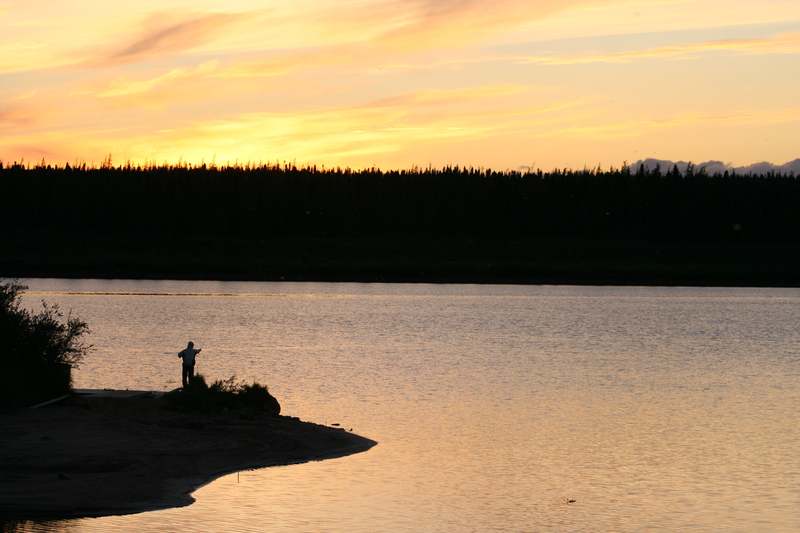 In addition to the great fishing, you will also discover the vast Nunavik countryside. You can travel the river in a freighter canoe with experienced guides or choose to wade right in to your dream fishing trip. 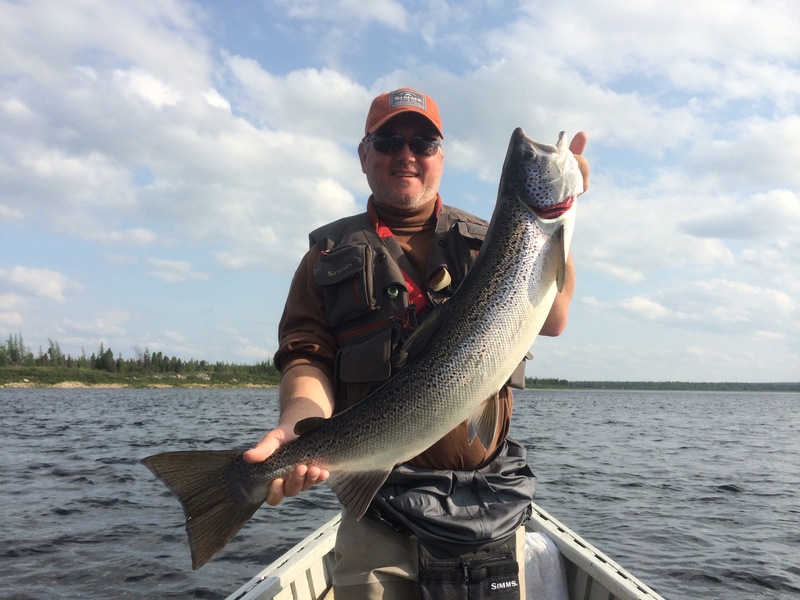 One of the unique features of Delay River Outfitters is the opportunity to catch four of Quebec’s major species of fish in one river. We look after every detail to ensure that your stay in Nunavik at Delay River Outfitters is an experience that measures up to any major fishing trip in Quebec. Each group of two fishermen is accompanied by an experienced guide who knows every bend of the Delay River and can point you toward the river’s best fishing spots. YOUR fishing success is THEIR success! 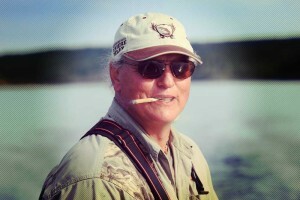 We recommend 8- to 10-foot fly rods as well as 12-foot rods with a double hand. We recommend floating lines and sinking tip lines. Telescopic poles may also be very useful and safer for moving around in the water. After a full day of fishing filled with stunning views and lunch among friends on the banks of the river, you will return to your cottage, where your guide will carefully prepare your catch for your return home. We will freeze it and provide you with a foam cooler for transport, so that you can share a piece of your dream with family or friends. Atlantic salmon is found in the Delay River. 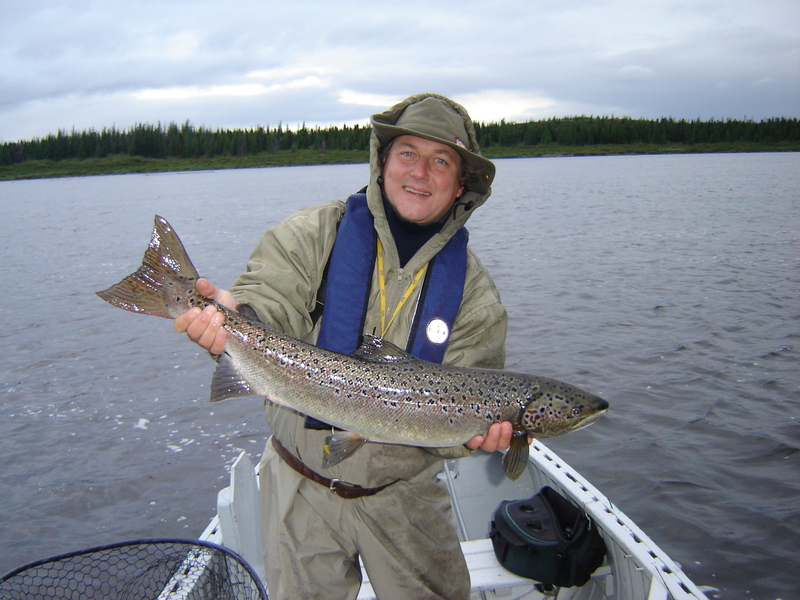 Salmon from the Koksoak River comes up from Ungava Bay to reproduce where it was spawned. There are great numbers of them in the river, weighing from 5 to 18 pounds. 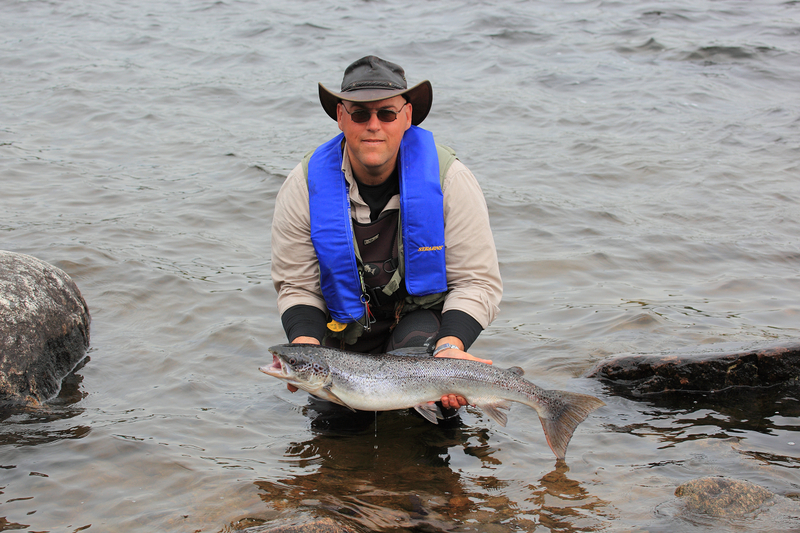 We encourage catch and release, but you may keep up to two salmon per day to a maximum of four during your stay. 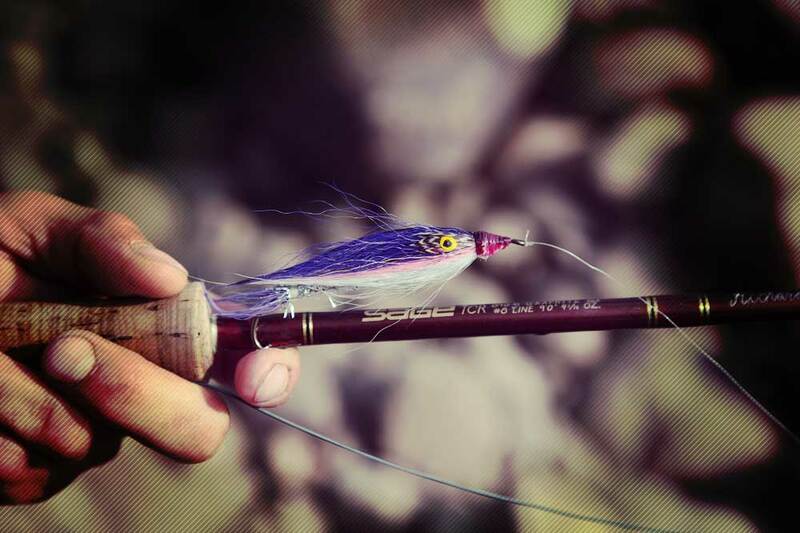 Until mid-August, you may fish for salmon using a light tackle rod and spinner. Native speckled trout, also called brook trout and of the same family as Artic char, can also be found in the river. 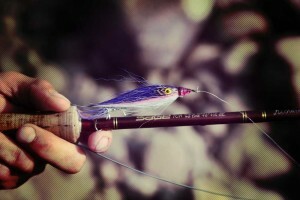 The average catch weighs between 2 and 3 pounds, but some have weighed in at over 5 pounds. 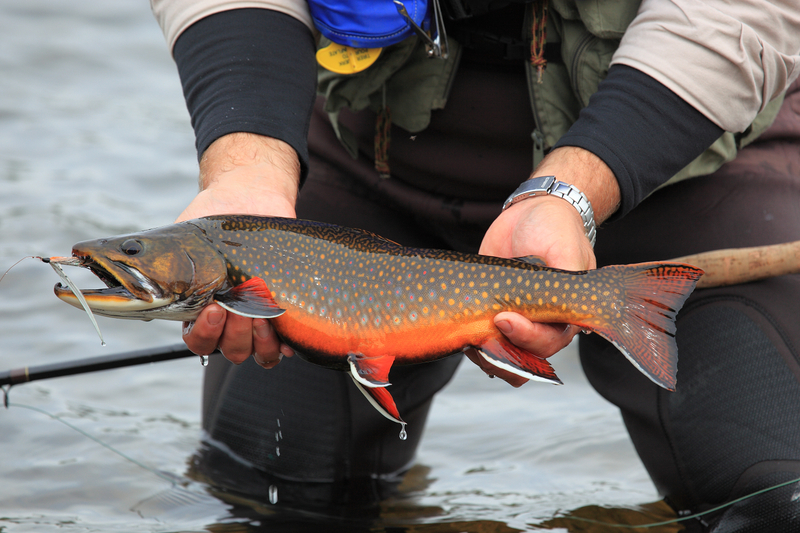 Lake trout can also be found in certain areas of the Delay River and other tributaries. Their numbers are respectable, and they may be fished by light tackle or fly fishing. Northern pike may also be fished in the river. You will be blown away by the quality and especially the size of some specimens.